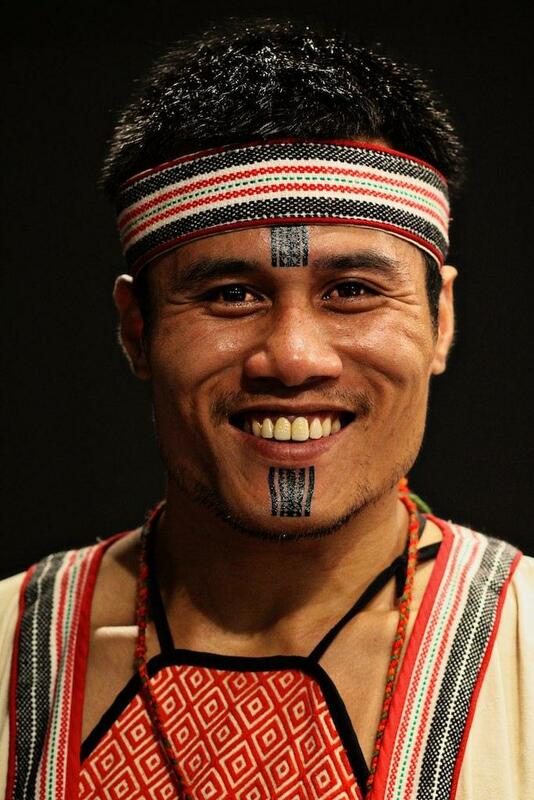 Amongst the various ethnic groups of Taiwan, there are three who customarily tattoo their faces – the Atayal people, the Taroko people, and the Saisiyat people, amongst whom it is mose common with the Atayals. Amongst men, it is a rite of passage and signifies the transition to adulthood in addition to courage and bravery. For the women, it indicates an ability to weave cloth. 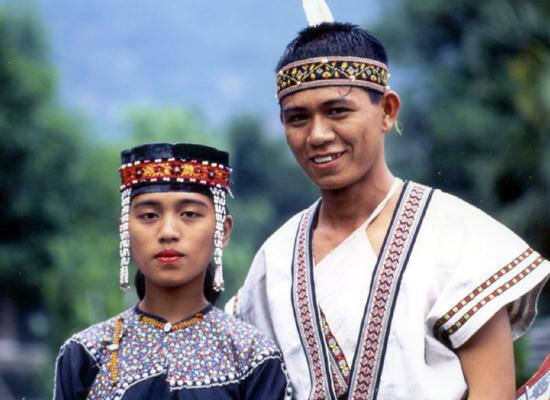 A large proportion of the Saisiyat people intermarried with the Atayal and Hakka peoples and thus can speak the Atayal and Hakka dialects. In fact, they are so comfortable with them that they use them in their daily lives. Every year they will conduct Pas-ta’ai, or The Ritual to the Short People, which commemorates a tribe that used to live near them. The Taroko people live high up in the mountains where they hunt and farm. They believe that rainbows are gods’ bridges to earth. About 300-400 years ago, as a result of a population increase, farm land and hunting game grew scarce, so they began to traverse the great mountain range and head east to the Liwu and Mukua Rivers. “Taroko” means “terrace on the mountain,” “a place you can live,” and “observation (to guard against attackers and thieves) deck.” Their new territory was called Taroko Gorge, which has now become a national park. 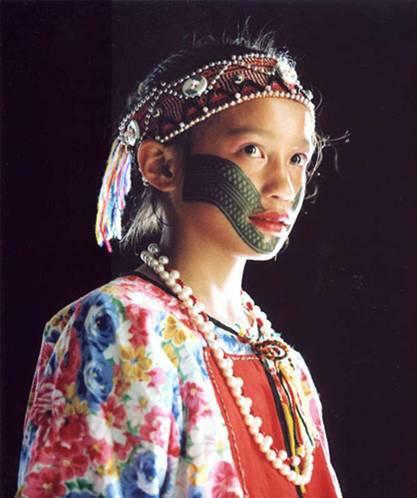 The traditional Amis people are a matriarchal society. 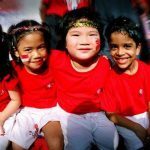 They really value clever dancing, dexterous and joyful singing, and outgoing, take-charge, optimistic people. Amis people tend to be quite tall. 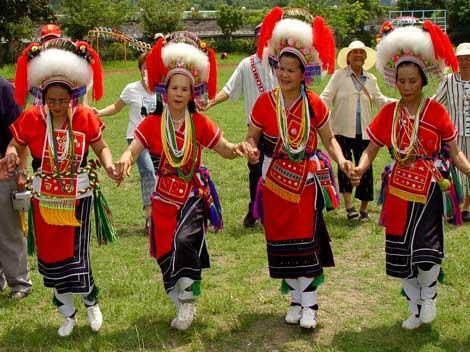 The northern Amis people are distributed between Fenglin and Hualien City, through Shoufeng and Ji’an in Hualien County. The central Amis people are located in Fengbin, Dagang, and Ruisui. The southern Amis live in the vicinity of the Taidong Plain. 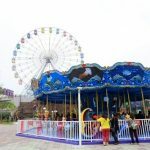 The Amis located in Taidong City, Malan, and Dulan are called the Taidong Amis. 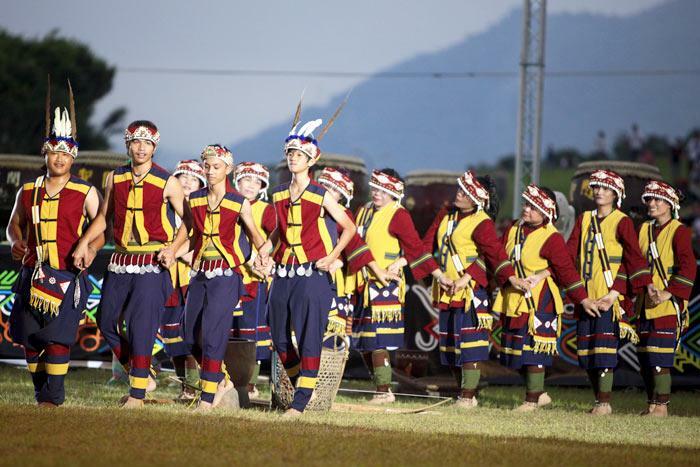 The Thao people originally lived near what is now the Sun Moon Lake’s western bank, and the other native groups there still call them Shvatan. They are the group that most integrated into the Chinese lifestyle. Sun Moon Lake is now an internationally-known tourist attraction and has become Taiwan’s national landmark. 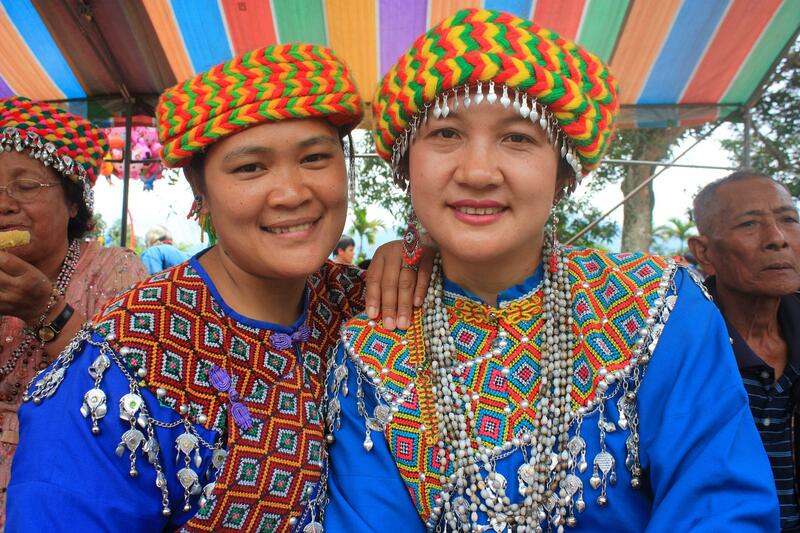 Since the Thao have lived there for so long, the area reflects a lot of their culture and impact. 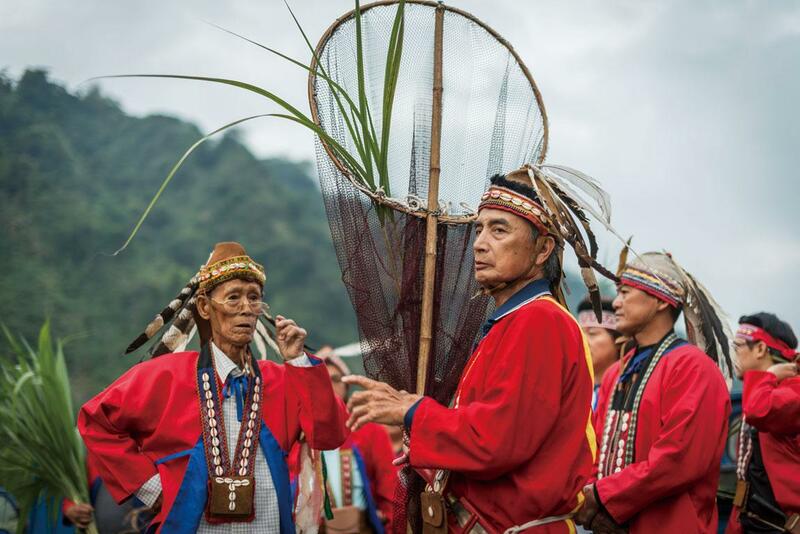 For tourists who have only the briefest experience with Taiwan’s indigenous groups, their mental picture is usually that of the Thao people. 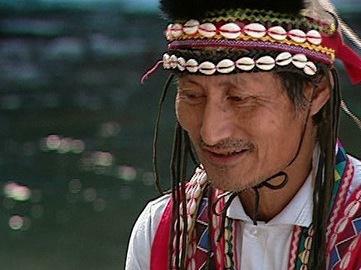 The Bunun people live in the Taidong area’s mountainous region and are world-famous for their 8-part polyphony music. Every November-December they hold a festival to pray that the next millet harvest will be bountiful. The men will circle up and sing the Abundant Millet Prayer together. The better it sounds, the more benevolent the gods will be, and the more millet they will harvest. Thus, everyone sings with all their heart. At first, there are only 4 different parts in the song, but when the music gets to the higher-pitched section, 8 different voices will emerge, hence the name “8-part polyphony.” It’s one of the world’s one-of-a-kind harmonic style. The Tsou people from Alishan give outsiders an impression of calm, introverted personalities, tall noses, and a touch of confidence or even pride. Their main sources of sustenance are farming and hunting, and many friends of the Tsou people have begun to preserve the land’s wasabi crop. Furthermore, they have begun consulting with tea growers to begin growing tea leaves on the Tsou’s level land. These two cash crops have actually attracted many young people back to the tribe. In addition to the wasabi and tea, gui bamboo shoots, bamboo stalks, cabbage, and extremely fragrant water lilies are Xinxing’s regional specialties. The beautiful and elegant Daluobaling Lake’s lake god is believed to be the ancestor of the Rukai people who takes the form of the pit viper. It’s said that the lake god once encountered the Ali chief’s daughter Banen. To express his love and admiration for her, he decided to play her a beautiful song on his flute. They decided to get married that day, and the god had a subordinate bring elaborate tea pots, cooking utensils, betel nuts, and beautiful glass strings of beads as wedding gifts. Afterwards, Banen said to her parents and the village people, “To properly express our reverence, whenever you pass through the god’s lake, please wear white garments, and I will prepare warm food to give you. Also please leave a sacrificial hind leg of any game you might catch.” This popular folktale, of a woman marrying a snake, has been songified and passed down from generation to generation. 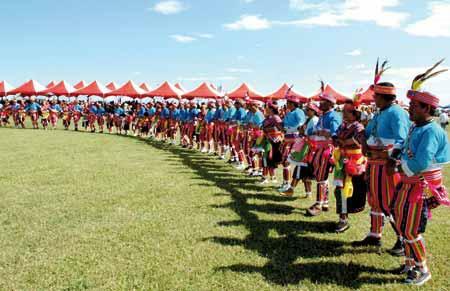 The Puyuma people originate from modern-day Taimali, Taidong’s coastal region. This area includes Zhiben Village, Jianhe Village, Lijia Village, Taidong City, and more. Because of their proximity to the Zhiben tribe, their language has had a huge influence on the Zhiben language, and you can hear the impurities in the Zhiben accent now. The Puyuma language also bears many similarities to the Amis language. 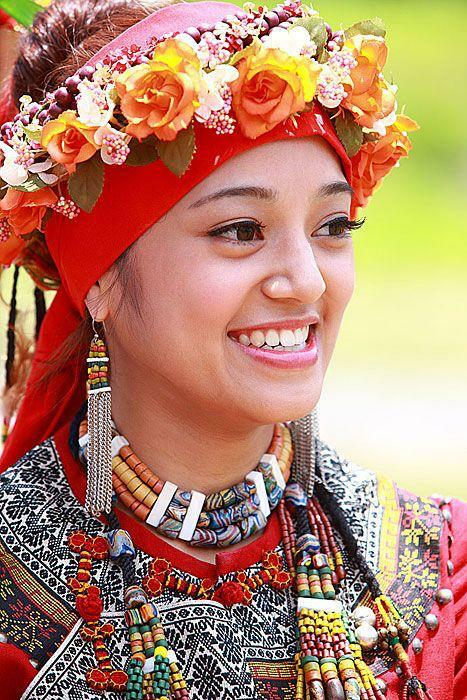 The Paiwan people have a very strict social hierarchy composed approximately of the mamazangilan (leaders), nobility, warriors, and four classes of ordinary people. The leaders and nobility also enjoy gorgeous decorated clothing. For example, an eagle’s feather whose stripes resemble those of a pit viper, elegant glass beads, and specialized designs. However, the social system has integrated well with modern times in various aspects such as equality between the sexes, modern wealth, and statutes of inheritance. When a couple marries, the newlyweds leave their home and establish a new house and name for themselves. The Yami people don’t have any leaders or social classes, and they all operate under the principles of equality and sharing everything equally. Thus, the main distinctions are made between family clans, location, or occupation. They live on Orchid Island, off the coast of Taidong and have a total population of about 2,900. The Yami people have a traditional “flying fish custom” wherein every March, when the flying fish swim through the Yami’s waters, they sacrifice the first few that pass through. After that, they begin to catch the fish, since they view it as heaven’s special gift to them. 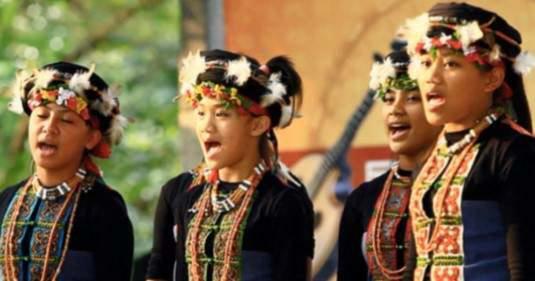 The Kavalan people are a small ethnic group with a strong identity amongst the larger Pepo ethnic group. They have an extremely distinct culture. They believe in fighting to earn their name and go all over the place to do that, reporting back to the central government. In order to spread their culture, they have no scruples about sharing their anti-illness religious practices. They go all over Taiwan to perform and explain their practices to common people and the government so that everyone can truly understand their culture and practices. 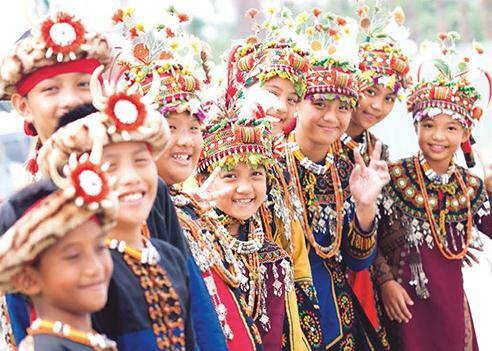 The Seediq people are composed of the Seediq Tgdaya, Seediq Toda, and Seediq Truku clans and are mainly distributed throughout Taiwan’s central, eastern, and Yilan regions (including Renai, Nantou; and Hualian’s Xiulin, Zhuoxi, and Wanrong). Their estimated population is 9,000-10,000 people. 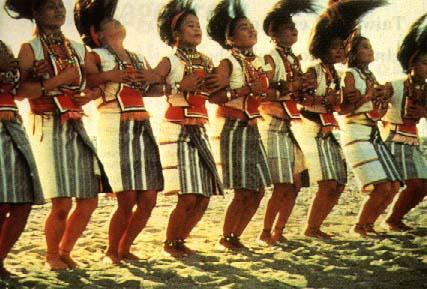 On January 17, 2007, the Sakizaya people were officially recognized by the Taiwanese government as Taiwan’s 13th indigenous ethnic group. They are a branch of the Amis ethnic group. 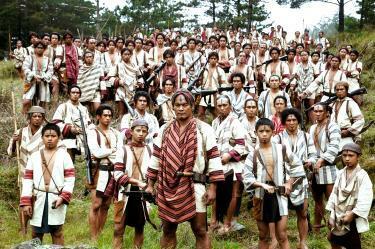 When the Qing Dynasty invaded in 1878, the Sakizaya and Kavalan peoples joined the resistance armies. However, they were defeated, their leader was subjected to cruel tortures, and his wife was sentenced to being crushed to death. In order to avoid total annihilation, the rest of the tribe decided to seek shelter and live under a different name. They were taken in by the Amis people. 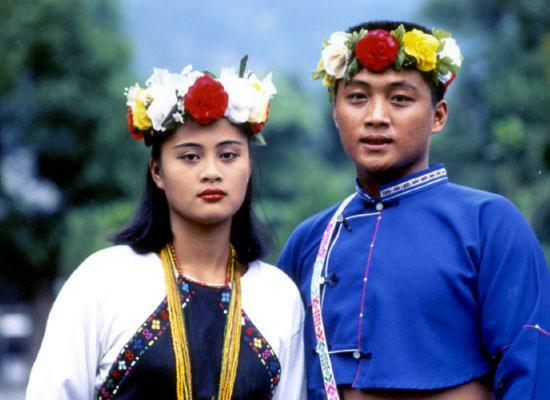 The Hla’alua people are composed of the Paiciana, Vilanganu, Talici, and Seediq Truku tribes and inhabit Taoyuan and Namaxia in Gaoxiong County. It has about 400 people. 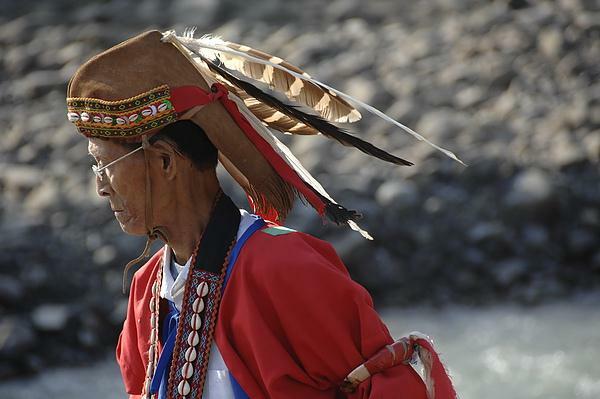 They pray to Takiaru, and every year they hold a ceremony requesting peace within their borders, a bountiful harvest, and for their tribe to flourish. 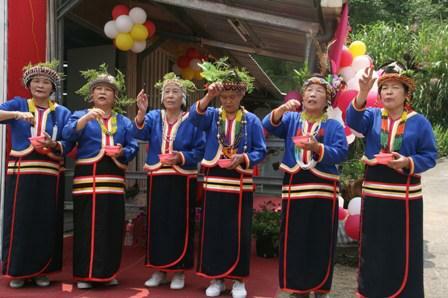 The Kanakanavu people are distributed in Namaxia, Gaixiong and on either side of the Nanzi Stream. They have a population of about 520 people. It’s said that several hundred years ago, a young man named Namaxia found a large eel blocking the streaming and endangering the tribe. He hurried back to notify the tribespeople, but he was so frightened that he grew ill and died. The tribespeople paired up with the mountain pigs to kill the eel, thereby averting the crisis. To commemorate the brave youth, they named the surrounding region after him. The Kanakanavu people are a patriarchal society. on your page ? I can write high quality articles for you.